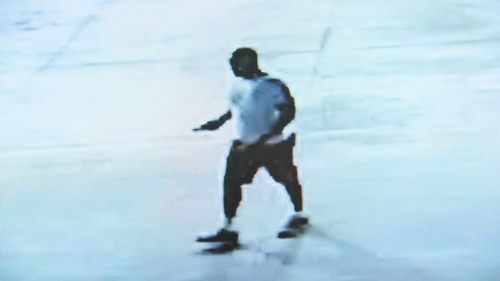 HOUSTON, Texas – A “person of interest” in connection with the Friday night execution style murder of a Texas sheriff’s deputy is currently in custody at the Harris County Sheriff’s Office. The man was taken into custody after a search warrant was executed very early Saturday morning within blocks of where a Harris County, Texas, sheriff’s deputy was shot in the back of the head at point-blank range. 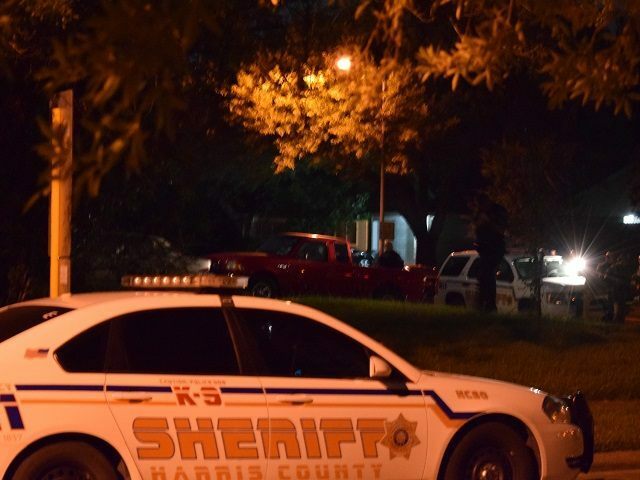 Breitbart Texas reported from the scene and interviewed eyewitnesses in Houston shortly after a Harris County (Houston area) deputy was shot execution-style at a gas station on Friday night. The officer was in uniform and was putting gas in his patrol car at a Chevron gas station in northwest Houston. Witnesses told Breitbart Texas that the shooter shot the deputy in the back of the head and then three times in the back. This brutal killing comes within days of a radio show based in Texas wherein a group of black radicals called for the lynching of whites and killing of cops, as Breitbart Texas reported. The radio show occurred at 10 p.m. on Tuesday evening. 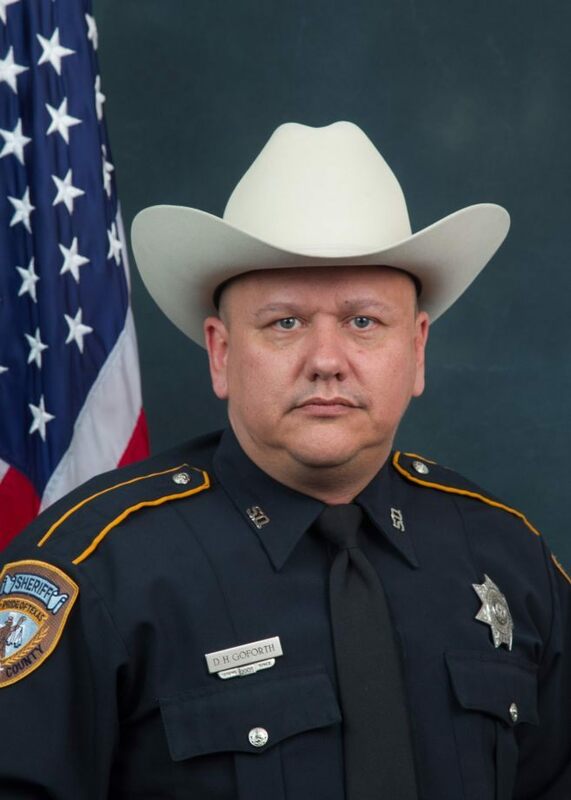 Authorities have identified the deceased deputy as Darren Goforth, 47. Deputy Goforth was a ten-year veteran of the Harris County Sheriff’s Office. The Deputy leaves behind a wife and two children. According to Harris County Sheriff Ron Hickman, Goforth was murdered within 30 minutes of investigating a traffic stop but there did not appear to be any connection. Officials are now saying that Deputy Goforth was walking out of the convenience store heading back to his patrol vehicle when he was shot multiple times in the back. After he fell to the ground he was shot, once again, multiple times. Breitbart Texas was posted near the area where the shooting occurred when they witnessed a law enforcement tow truck hauling a red truck down the main street through the area around 1:00 a.m. Earlier reports said that the shooter was driving a red Ford ranger truck. After following the truck back into the area where the shooting occurred, Breitbart Texas observed a number if deputies gathering in a neighborhood. The neighborhood was approximately 1.5 miles from the Chevron station where the officer was murdered. According to one of the deputies on the scene, the officers were waiting for a magistrate to get a search warrant for someone in the area. As Breitbart Texas waited for the execution of the search warrant, the lights on the streets, on and near where the search warrant was to be executed, were cut off in the neighborhood. After approaching the home, deputies handcuffed a black man and woman into custody and questioned them in the front yard. After speaking to her for several minutes they placed the woman in the back seat of a patrol car. A few moments later, several SWAT officers arrived wearing body armor, helmets and night vision. They eventually made entry to the home. Breitbart Texas observed a red pickup truck in the driveway of the home which was not the same as the red truck that was on the back of the wrecker seen earlier. Deputies were searching the truck, but it is not known what was discovered. As Breitbart Texas waited near the woman’s home with the half a dozen police cars or more, patrol cars would come and go. A black female representative from the Department of Justice sat in her car close to the car where Breitbart Texas was stationed. Breitbart Texas learned in a phone conversation with Harris County Sheriff Ron Hickman, that the crime scene at the Chevron station had finally been cleared and the deputy’s body had been removed from the scene. 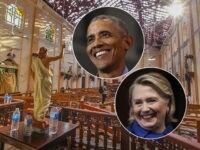 At approximately 3:33 a.m., Breitbart Texas observed what was believed to be Deputy Goforth’s patrol car being hauled out on a flatbed wrecker. The person of interest was taken into custody and moved to the downtown office sometime later in the morning.